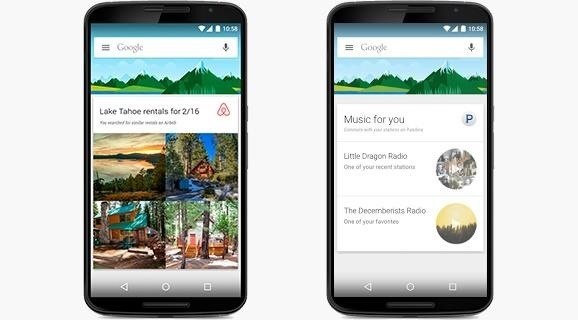 Of the Google services that come bundled in Android devices, none is more useful than Google Now. By combining search with timely cards that hope to guess your next move before you even make it, Google Now is everything a virtual assistant should be. Starting today, the service is getting even more powerful and intuitive. Now has always relied solely on data from Google services in the past, but a looming update promises to bring third-party cards from your favorite Android apps. 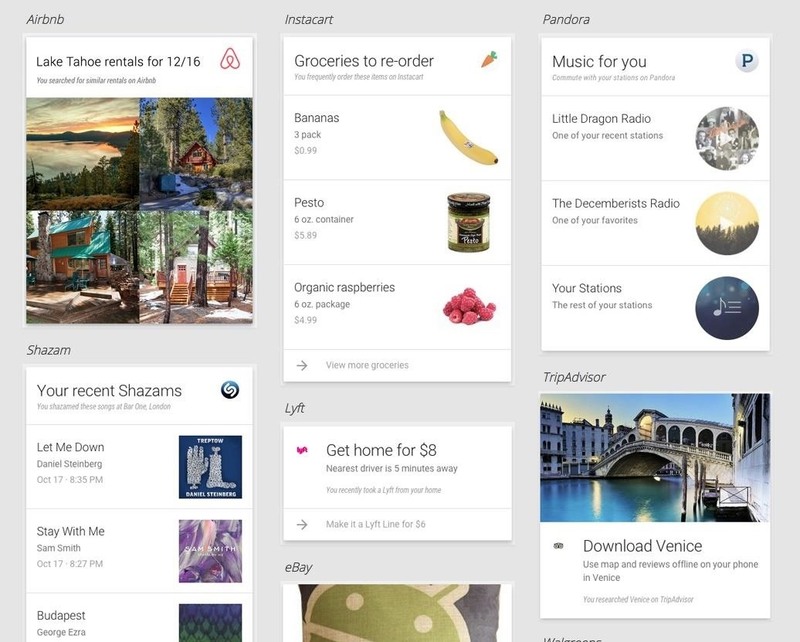 At launch, 40 apps have been approved to post cards in your Google Now feed. This list includes Airbnb, Pandora, Waze, Runtastic, Trulia, Mint, and several others, with more planned for future updates. Each of these apps will be able to generate an overview card with relevant images and links that take you directly to the app itself. As usual, this update will hit Android devices slowly over the course of the next few days in a staged rollout. Keep an eye out on the Google Search Play Store page to see if the update is available for you.